Air passengers were facing lengthy delays in Britain on Tuesday after a computer glitch hit British Airways check-ins and protesters from “Black Lives Matter” forced their way on to the runway of London City Airport. British Airways said it was taking longer than normal to process customers at Heathrow and Gatwick near London but did not comment on social media reports that there were also major delays in San Francisco, Washington D.C. and Atlanta. 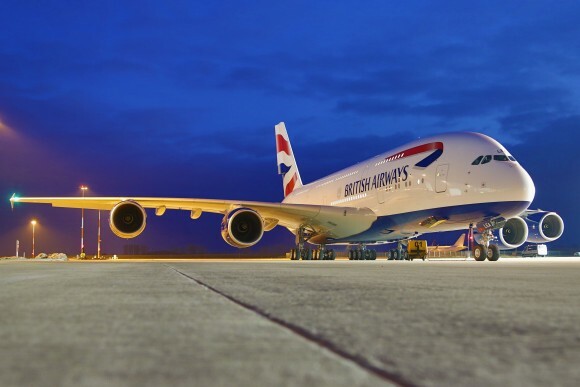 BA, owned by International Consolidated Airlines Group, apologised to customers for the delays and urged passengers to check in online before they reached the airport. “Huge computer issue affecting British Airways across USA. Friend at #Dulles tells me pilots by gate but passengers still trying to check in!” Twitter user John Bevir wrote. Police said nine protesters had locked themselves together on the runway of London City Airport – a hub which lies a few miles east of the Canary Wharf financial district that mostly handles short-haul flights to business destinations in Europe. “Officers are currently on scene and are negotiating with them. We are awaiting the arrival of specialist resources that are able to ‘unlock’ the protesters,” said police. The campaign group Black Lives Matter said its activists were behind the protest. “London City Airport was #shutdown,” it said in a statement. The British arm of “Black Lives Matter”, which started in the United States as a reaction to fatal shootings of black people by white U.S. police officers, said it wanted to highlight Britain’s environmental impact on the lives of black people locally and globally. The campaign group said the airport was designed for the wealthy while those who lived near the site struggled on low salaries. “When black people in Britain are 28 percent more likely to be exposed to air pollution than their white counterparts, we know that environmental inequality is a racist crisis,” it said in a statement. Ten people from Black Lives Matter were arrested in August after they blocked the main road to London’s Heathrow Airport.